This Lampe Berger catalytic burner called the Air Pur System 3C features improved fragrance quality with faster odor destruction. 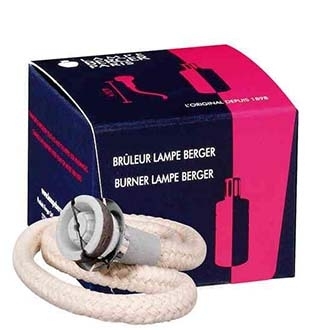 This burner is made only for the tallest Lampe Berger lamps. If your lamp is average in size you should purchase the 6" Air Pur burner as it will perform better. This burner performs wonderfully if it is properly used. To insure your 3C burner has longest life possible do not operate your lamp more than thirty minutes at a time or allow it to burn out of fragrance. Use of fragrances not made by Lampe Berger will clog the burner immediately.